If someone read a sentence like, “the shortstop threw the ball to first base,” parts of the brain dedicated to vision and movement would light up. “The way that you understand an action is by recreating in your vision system what it would look like… and recreating in your motor system what it would be like to be that shortstop, to have the ball in your hand and release it,” Bergen says. This is the key element that got me excited as a writer and a reader – that language creates a virtual reality. They didn’t go into it on the show, but presumably when your mind interprets words, it doesn’t just form images and motor reactions, but good writing may also trigger physiological responses, such as the release of adrenaline or endorphins. Like when Shirley Jackson terrifies me, makes my heart race, and triggers the fight (keep reading) or flight (hide the book behind others on the shelf) response with The Haunting of Hill House. Or when Natalie Goldberg does the opposite – relaxes my muscles, lowers my blood pressure, and cloaks me in calm – with her gentle language in Long Quiet Highway. So what does this mean for creative nonfiction writers? These findings are the essence of the author’s adage, “Show don’t tell.” They explain why showing works and telling doesn’t. When we tell a story in the form of “this happened, and then this happened,” we’re not giving the reader much to work with. Alice went to the window and got mad when she saw Tom had showed up. Alice strode to the window and scowled when the chauffeur opened the car door and Tom stepped out. The reader’s brain has specific images to work with, like “strode” and “scowled,” that conjure not just visual cues, but emotional cues as well. The reader will likely experience a more vivid simulation with the second sentence. Maybe there will even be a reaction – a little fluttering in her heart as her mind braces for a confrontation. From a big picture standpoint, these findings are thrilling because they show why good writing moves us, why we crave it, why we are driven to create and consume it. Language is not just for communicating, as bees communicate the location of a flower patch through the waggle dance. Human language is also for evoking feeling, for connecting us through common crises, for teaching us how others have lived. For suggesting significance beneath the surface of it all. As the NPR piece explored, the brain can make sense of something that doesn’t exist – a flying pig, in their example – by extrapolating and inferring meaning through language cues. With creative writing, we are able to simulate experiences the reader has never had, or trigger ones that she has. If we write well, especially as creative nonfiction writers, we are able to create a virtual reality that links a 21st century executive with the struggles of a 19th century slave, or a modern 7-year-old with a pioneer prairie girl, or a gregarious extrovert with the inner workings of an introvert. If we use language well, we make it possible to understand each other. We transmit an awareness. If the reader’s mind feels that femur splintering, she will have compassion. If we write well in our creative nonfiction, we share the human experience. If we write well, we gift the gift of empathy. Andrea Badgley holds a B.S. in Ecology, but left that field to raise children and write. Her work appears in the Southern Women’s Review, and has been honored with the Freshly Pressed blogging award by the editors at WordPress.com. She grew up on the coast of Georgia and now lives with her husband and two children in the Appalachian mountains of Virginia. She writes creative nonfiction on her blog at andreabadgley.com. Thanks to Dinty for sharing Andrea with us. It’ll take a while to catch up on Andrea’s older blogs, but with my follow, at least I won’t miss out on any new entries. Andrea, I love your writing and the beautiful way your mind works. I’ll be sharing this blog with the members of IN PRINT WRITERS, my writing group here in Northern Illinois when we meet this Saturday. Thanks so much for your kind words, Deborah, and for following my blog. I hope this is helpful to your writing group. Thank you for pointing the way to Andrea’s blog! What an inspiring post. I do everything I can in my writing to bring people into the pasture with me, and now there’s evidence about how that works! Very exciting! Isn’t it thrilling?! Your writing is beautiful. You have a new follower. I’m thrilled about that!!! LOL! Welcome to the pasture. I wonder, too, about the importance of the narrative voice in all of this. Sometimes it feels to me as though my internal response and responsiveness to what I read is as much about the extent to which the writer has nailed a consistent and credible voice as it is about the quality of the showing. And I wonder too about actual tone of voice: When it comes to hearing the words spoken aloud, I know that I have had to stop listening to some audio books because, even though both the writing itself and the narrative voice may be strong, if the actual voice of the literal narrator doesn’t somehow ignite the writing for me, I hear the words and feel deadened by them, or, at best, feel nothing. All very thought-provoking and fascinating. Thank you! It’s funny you say that, Mary, because I just recently realized how much life a good voice can give to the written word. I had the honor of being coached for a reading by a retired Director of Theater at Virginia Tech, and when he read my words out loud, they sounded like poetry rather than prose. I was dumbfounded that his manner of reading – his tone, his tempo, his diction, his pitch – could bring the writing so alive. You are absolutely right that hearing words read out loud, maybe by adding another sense to the experience, can enhance that virtual reality. p.s. – Do you have any good audiobook recommendations? Andrea, I love Paul Auster’s narration of his new memoir, Winter Journal. There’s also an excellent audio of the recent fabulous treatise on the power of introverts: Quiet. Fiction, best ever audios for me are Ron Carlson narrating Five Skies (love both his language and his voice), and the audio of Linda Olsson’s Astrid & Veronika. Just beautiful. Such an interesting topic. Thanks again to you and to Dinty for putting it out there. Thanks, Andrea, for this concise description of show not tell. The examples are more helpful than others I’ve read. I know this is something I have to constantly be aware of in my own writing. The brain-word link really makes sense to me. I’m so glad they were helpful to you! I think most of us can recognize good writing, and when we read a “shown” story rather than a “told” story, we know which one is better. But I don’t think I fully understood what show don’t tell meant, *how* to show instead of telling, until I heard this NPR story. “Mirror neurons” are the unique cells in the brain responsible for this amazing virtual reality experience. These same mirror neurons are responsible for our ability to empathize with others, which in turn enables us to form healthy attachments to others. They were discovered by accident in Italy in a primate lab. A very readable book on the subject is Mirroring People by Marco Iacoboni (2008). I just Googled “mirror neurons” for more information, and that’s fascinating! Thanks for sharing. I’ve been thinking lots about neurochemistry and mirror neurons and storytelling for a book project about love stories. It’s amazing how much this research has developed over the past few years since I started writing. Language, narrative, and empathy are so deeply ingrained in our culture and, it seems, pretty dramatically influence our values and how we connect to one another. Nonfiction writers are doing important work! I’m sharing this with my fourth graders today because we’ve talked so much in class about the importance of descriptive language–I suspect they will especially like your description of the leg breaking if only because of its shock value! I can’t wait to discover what experience they’ll describe in their journals. This was a great and useful (and succinct) essay. Thanks! I love this! The ability to show instead of simply telling is something that I always have to be aware of in my writing. While I may see something in my mind as clear as day, it may not be as easy for the reader to see it. Descriptive language is so important and the examples you gave are great! Thanks for this essay! My pleasure, Miranda. It is always tricky business as a writer to not take for granted the things we see clearly in our own heads. Nobody is in there with us, so we have to use the right words to show it to them. 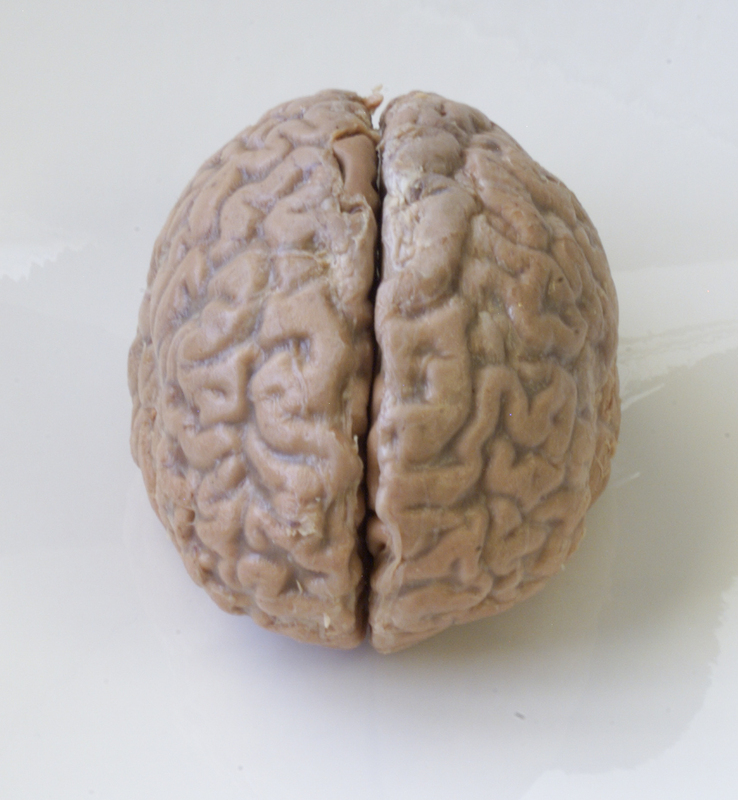 You are currently reading Why Description Matters to the Brain at BREVITY's Nonfiction Blog.